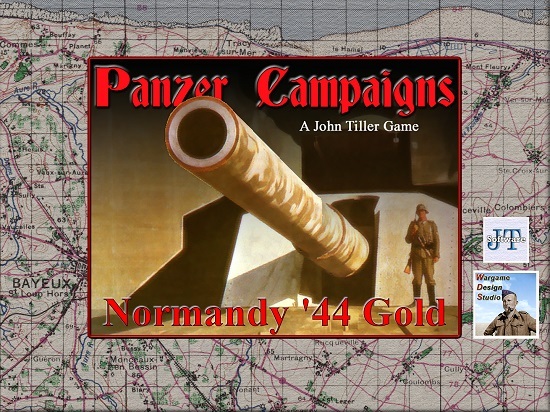 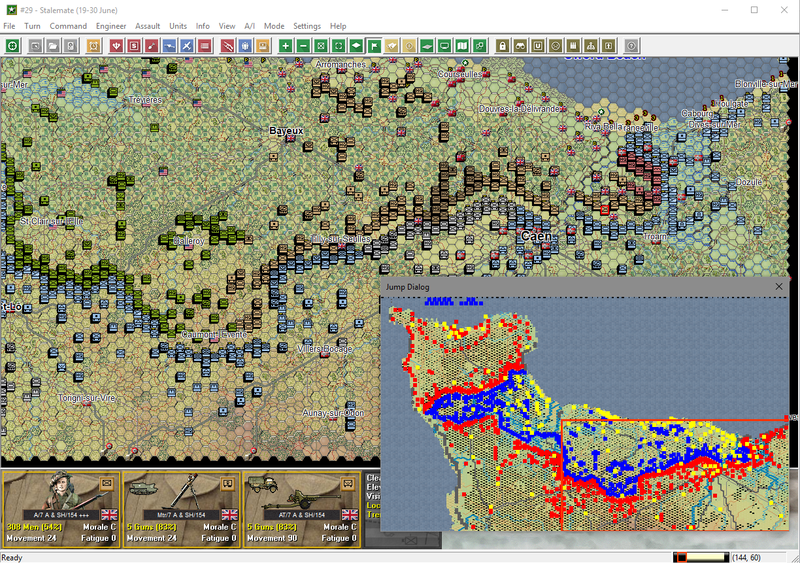 Scenarios range from a series of starter and intermediate historical scenarios, up to the full 250 turn campaign game. 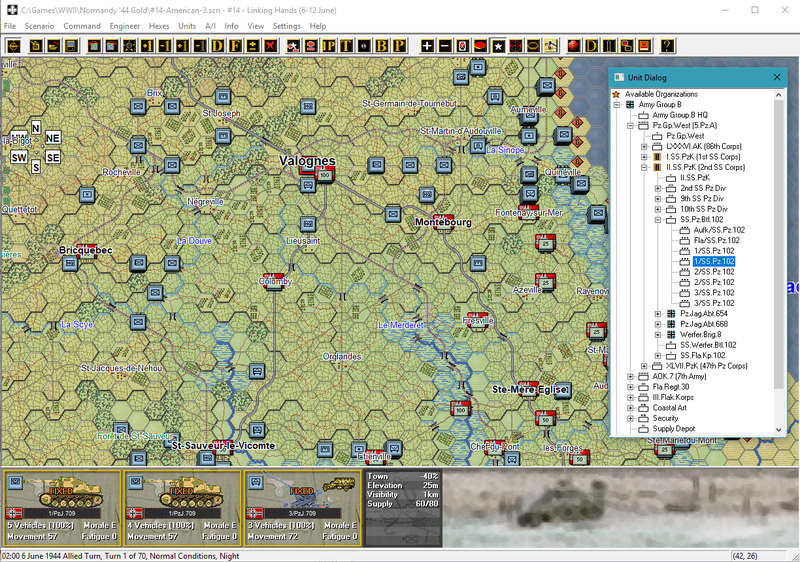 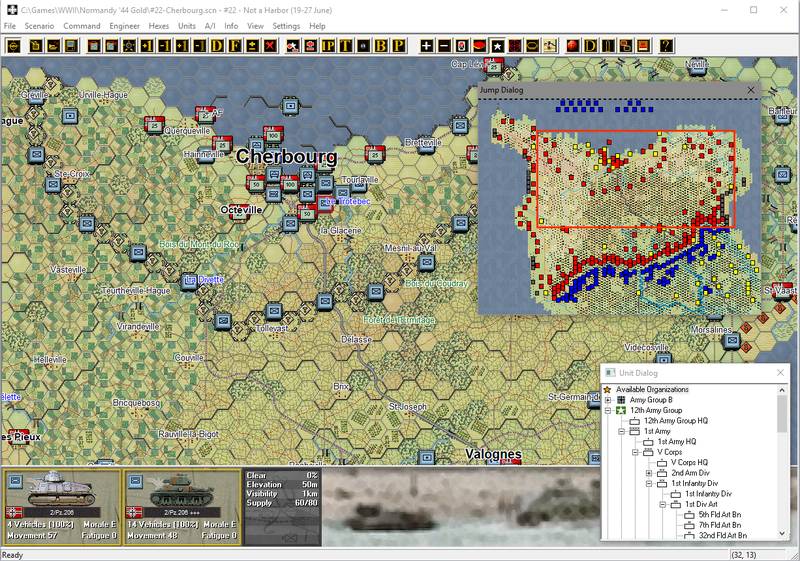 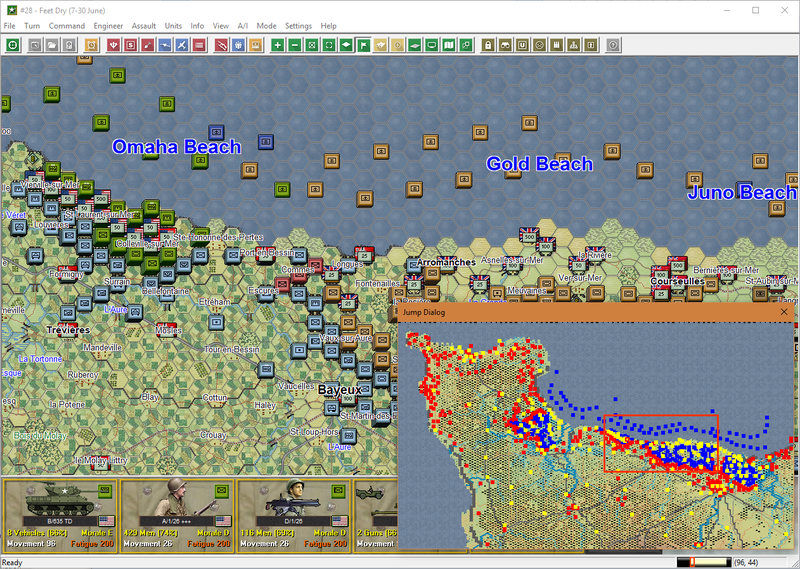 Individual scenarios cover Utah, Omaha, Gold, Juno, and Sword beach assaults. 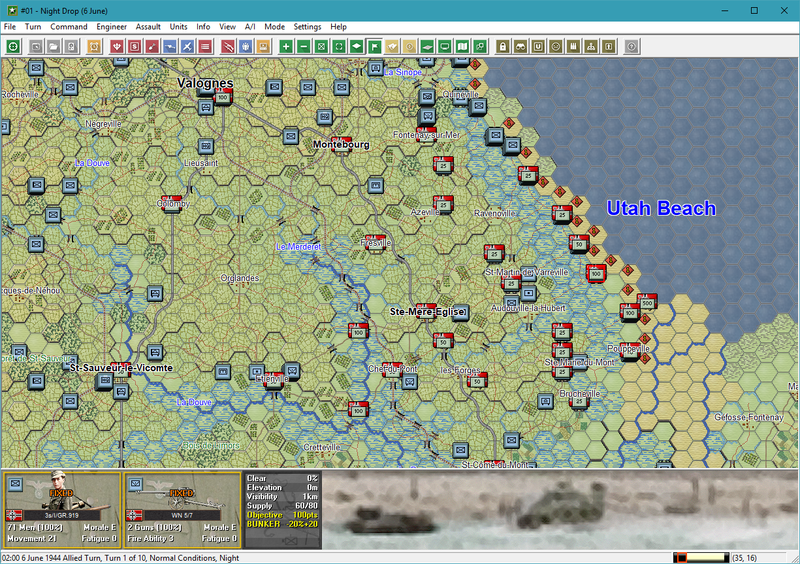 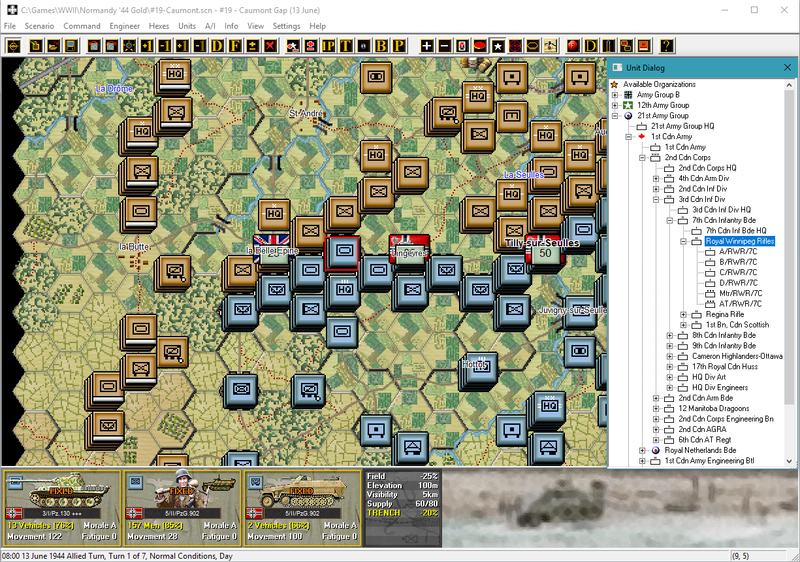 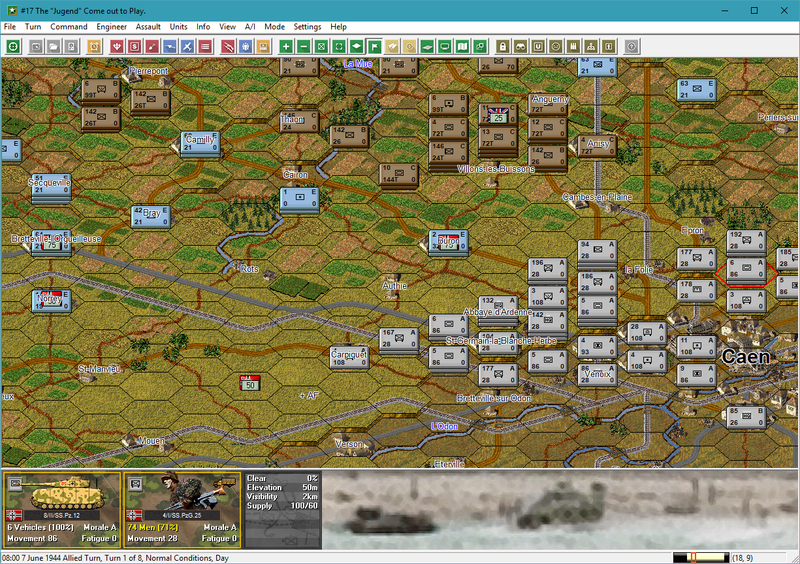 Over 1500 units represent the Allied Armies versus Army Group B at mainly battalion level. 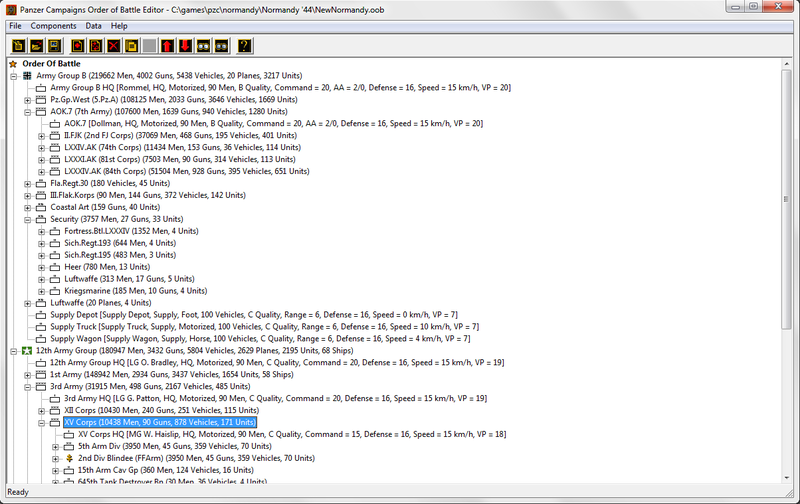 An additional 39 scenarios from the Volcano Man mods making 96 in total. 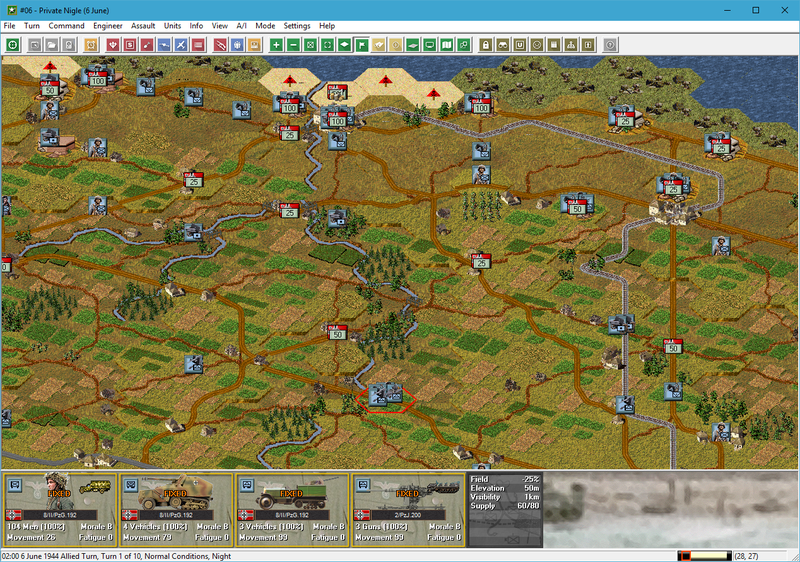 These include both historical and hypothetical scenarios.